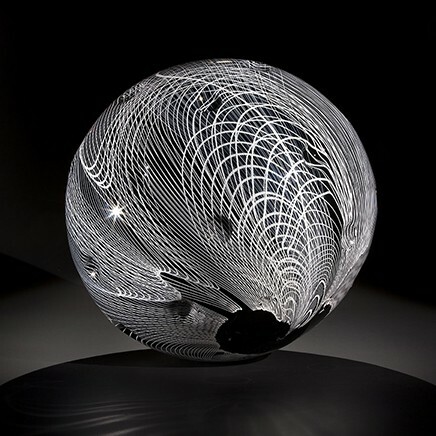 Nancy Callan has been working as a glass artist in Seattle, Washington since receiving her BFA from the Massachusetts College of Art in 1996. 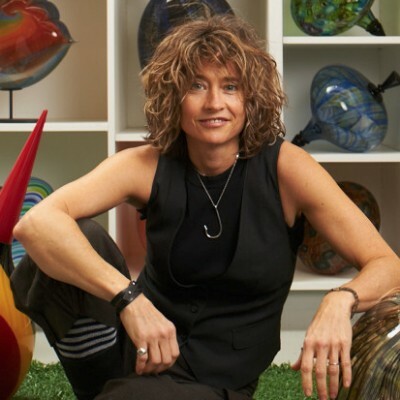 For the past twelve years, she has been a member of Lino Tagliapietra's glassblowing team and has traveled throughout the world as his assistant. 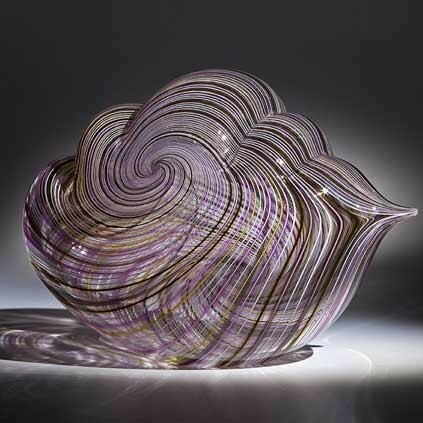 Callan has built her skills working for many prominent glass artists including Flora Mace and Joey Kirkpatrick, Ginny Ruffner, and Josiah McElheny. 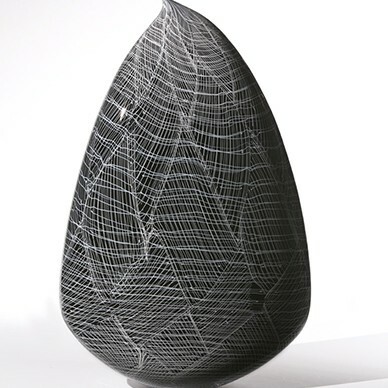 Since 2001, she has focused on developing her artistic voice as a glass sculptor. Her work embodies the skill and finesse of the Venetian tradition, but combines this pedigree with the wit and aesthetic sensibility of a contemporary artist. Callan is highly influenced by pop culture, and references sources such as comic books (Superhero Stingers), children's toys (Tops) and high fashion (Plaid Winkles) in her ongoing series. 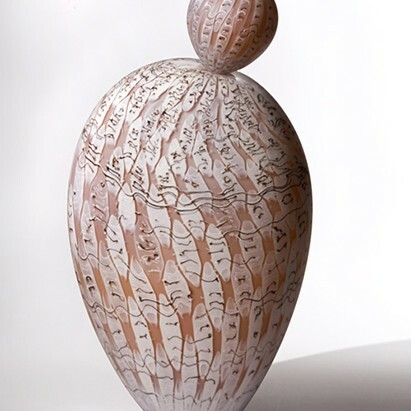 Callan has exhibited her work nationally in major galleries and is preparing for the opening of an early-career survey at the Muskegon Museum of Art in Muskegon, Michigan, February 26 through May 24, 2009. The exhibit is titled Seventh-Inning Stretch: Glass by Nancy Callan, and will later travel to the Pittsburgh Glass Center in July 2009. Blue Rain Gallery welcomes the artwork of Nancy Callan!